Barry joined Amaris Hospitality in 2018 and is responsible for the overall management of Amaris Hospitality’s financial affairs, internally and externally. This includes the development of the Group’s financial strategy, monitoring compliance and budget performance, management of the finance team, optimising the performance of the business and ensuring that all business undertaken by Amaris Hospitality in transacted and managed in accordance to the highest standards. An accomplished leader with a strong track record of driving business results and a recognised advocate for diversity, prior to joining Amaris Hospitality Barry spent 10 years as Finance Director for Intel in Ireland, having joined the global technology business in 1992. Barry has held a variety of management positions in Ireland, Denmark, Italy, England and also in the USA. 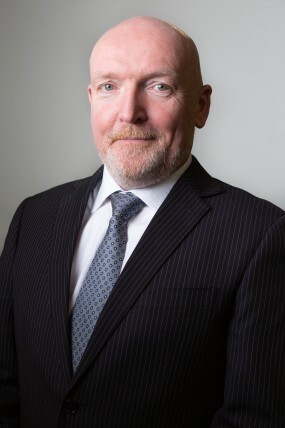 Barry became Finance Director of Intel Ireland in 2008 and was instrumental in securing the record $7 billion upgrade to the Irish Leixlip campus, which was completed in 2015, enabling the production of Intel's leading-edge process technologies and products from Ireland.